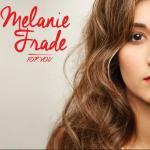 Sign up for Broadjam today to follow Melanie Frade, and be notified when they upload new stuff or update their news! An album of songs about growth and growing up. With pop melodies and soulful and jazzy singing, it's a feel good music with dark but relatable lyrics.